Geisha Nakamura is a traditional Japanese Kaiseki Restaurant located in Kagurazaka, Tokyo. Guests can enjoy delicious Japanese kaiseki cuisine while enjoying the geisha performance. Really enjoyed our time at dinner and with our performers. It was so interesting to learn about the geisha life and shamisen and the variety and flavors of thebfood we ate were great. The performances were amazing. This is something we will never forget and I highly recommend you experience this once in your life time if possible. 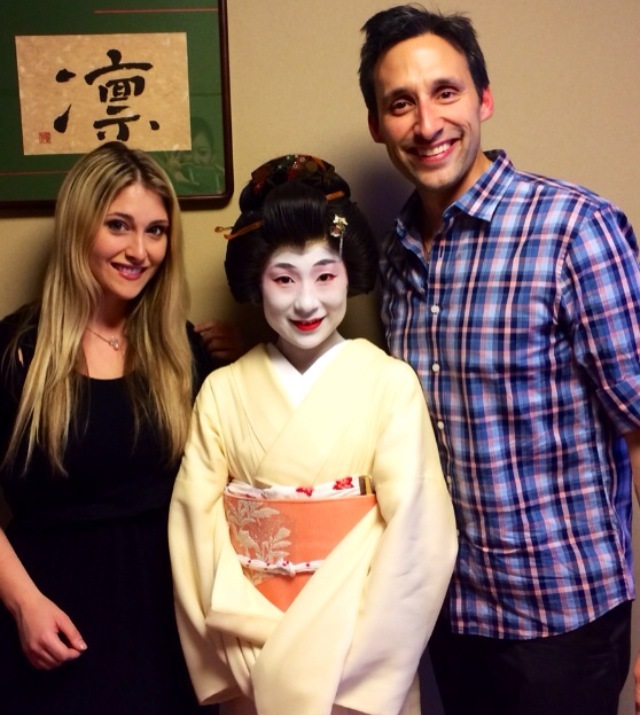 As someone who has always had a fascination with geisha from a young age, this experience was so incredible! We took at taxi to the restaurant, which was convenient as the restaurant may be a little difficult to find on foot. Once we arrived, the restaurant staff were very accommodating and helpful. I had dietary requirements which they catered to with no problems. The absolute highlight of the night were our two geisha, Kotochiyo and Momoki, who were so kind, friendly and entertaining! Both were able to communicate with us in English and Japanese, and we had such a fun night! There were some dances, a shamisen performance and some drinking games too. Highly recommend this experience, and I most definitely wish to do this again when I return to Japan! Voyagin!! Voyagin!! Voyagin!! What an amazing company with such extraordinary customer service! I booked 3 tours through Voyagin and every single one of them was a dream come true. The experiences I never thought I could have they made happen!! They even helped me customize a lunch with a Geiko in a Japanese Tea House. The Geiko performed a few dances and even could speak a little english so I got to ask questions I have always been curious about. We drank Sake and had a delicious lunch. It was truly a unforgettable experience. Thank you so much Voyagin for making what seemed the impossible possible. A dream of mine came true that day!! I booked this experience for my last night in Japan, and it was amazing! The main attraction is the geisha, who shares drinks with you, engages in conversation with you (I requested an English speaking geisha), performs traditional dances, and explains the food. A Shamisen player also performs two lively pieces. While the food portions at the restaurant are rather small, they are very tasty and well-prepared.